This year’s Global Citizen Festival took place on September 24th in New York City’s Central Park. As a global company, Expand once again joined Global Citizen in their movement to fight inequality, protect our planet, and end extreme poverty. This movement combines the action and voices of millions of citizens, social activists, non-profit organizations, and world leaders. 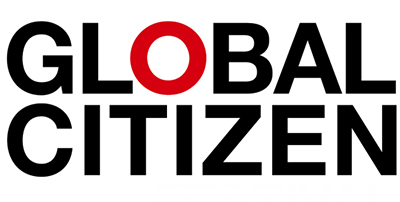 Since 2015, the goals of the festival have been closely aligned with the United Nations’ Sustainable Development Goals, a set of 17 “Global Goals” that Global Citizen is committed to accomplishing by the year 2030.By contributing to charity acts on the website, fans can get free tickets to the festival. The event was moderated by MSNBC and was attended by several musicians, actors, and social activists who came from a diverse blend of governments, NGOs, and corporations, showing that progress can only come through collaboration. Rihanna, Kendrik Lamar, Demi Lovato, and Major Lazer gave live performances on stage. Other attendees included Usher, Neil Patrick Harris, Chris Martin from Coldplay, and Eddie Vedder from Pearl Jam. This year’s festival centered mainly on sanitation, female economic empowerment, and education. Several world leaders came out to support these major global issues, including Prime Ministers from Sweden and Norway, U.S. democratic leader Nancy Pelosi, and New York State Senior Chuck Schumer. Mark Rutte, Prime Minister of the Netherlands, spoke about his country’s commitment to supporting sustainable water management and global access to water and sanitation. Amina Mohamed, Chair of the Water Supply and Sanitation Collaborative Council spoke about securing access to water, sanitation and hygiene around the world. Jeff Radebe, Minister of the Presidency of South Africa, also remarked on achieving clean water and sanitation for all. Rihanna spoke about the Education Cannot Wait fund, which will help deliver emergency education to children in crises around the globe. Other announcements were made about high quality education for women. Natasha Stott Despoja, Australia’s Ambassador for Women and Girls, introduced a commitment by Julie Bishop, Australian Minister for Foreign Affairs, to improve access to quality education for girls in the Indo-Pacific region. First Lady Michelle Obama was unable to attend this year, but made a speech via live video, encouraging Global Citizens to continue their support of #LetGirlsLearn, a U.S. government initiative to ensure that adolescent girls get the education they deserve. Other topics discussed at the Global Citizen Festival included finding a way to end polio, create universal healthcare, and achieve gender equality. Stay tuned for information on the 2017 Global Citizen Festival! Next year’s Global Citizen Festival will be held in the same location. The date has not been announced yet.